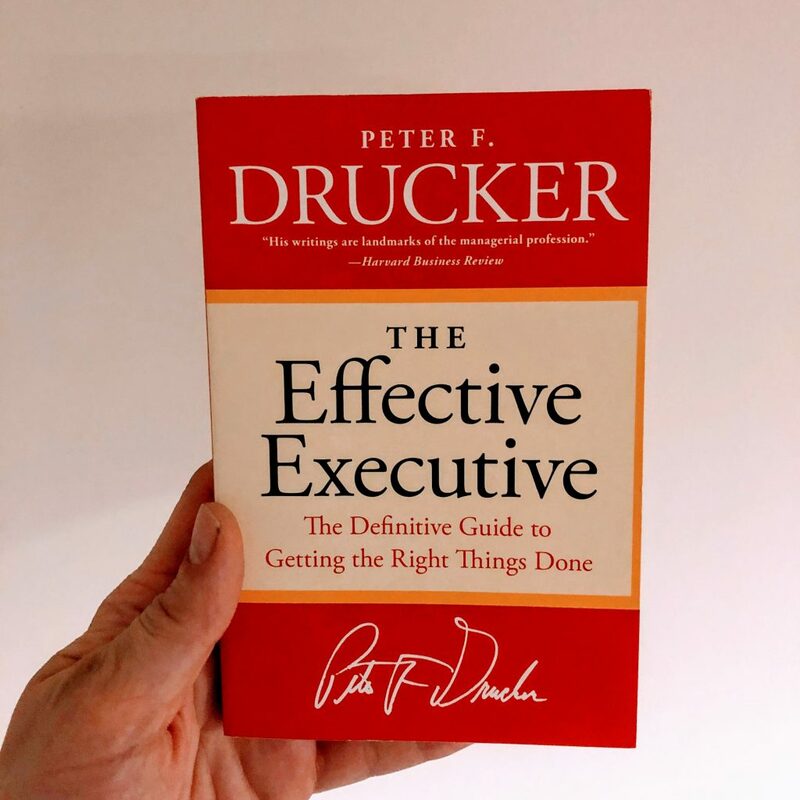 Pick up any good management book and chances are that Peter Drucker will be mentioned. He is the godfather of management theory. I encountered Drucker many times before in other books and quotes, but I had never read anything directly by him. I have now, and I can only wish I had done so sooner. The sublime classic The Effective Executive from 1967 was a good place to start. After only finishing the first chapter at the kitchen table, I already told my wife: this is one of the best management books I have ever read. Drucker is an absolute authority who unambiguously will tell you exactly what’s important and what’s not. His voice and style cuts like a knife and his directness will hit you like a ton of bricks. He explains and summarizes like no one else, without becoming repetitive. Every other sentence could be a quote. And after reading, every other management book makes a bit more sense, because now I can tell where they stem from. Only executive effectiveness can enable this society to harmonize its two needs: the needs of organization to obtain from the individual the contribution it needs, and the need of the individual to have organization serve as his tool for the accomplishment of his purposes. Effectiveness must be learned…..Executive effectiveness is our one best hope to make modern society productive economically and viable socially. So this book makes sense on different levels and is timeless. Even if some references, in hindsight, are dated (especially the McNamara references, knowing what we now know about the Vietnam war). I think Drucker himself did not anticipate the influence of his writing, as the next quotes demonstrates. But this is also precisely what I admire about it. There is little danger that anyone will compare this essay on training oneself to be an effective executive with, say, Kierkegaard’s great self-development tract, Training in Christianity. There are surely higher goals for a man’s life than to become an effective executive. But only because the goal is so modest can we hope at all to achieve it; that is, to have the large number of effective executives modern society and its organizations need.